Trail end points: Scranton Rd. and Carter Rd. and Columbus Rd. 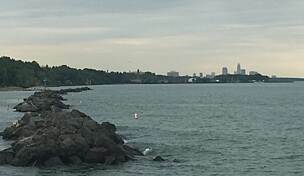 When completed, the Cleveland Foundation Centennial Trail will make a critical connection between Cleveland's downtown neighborhoods and the vast Lake Erie. As of August 2015, the first phase of the trail is open, stretching about a quarter-mile from Scranton Road to just south of Rivergate Park. 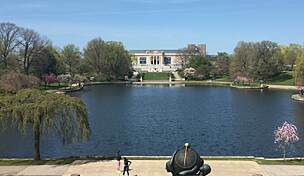 In August 2014, a $5 million grant from the Cleveland Foundation, a legacy gift in honor of its 100th anniversary, propelled the trail project forward. In recognition of this significant contribution, the trail, originally known as the Lake Link Trail, was renamed. 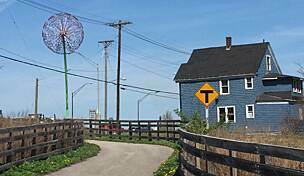 The rest of the trail, up to Wendy Park on the Lake Erie shore, will follow as additional funding becomes available. Trail development is slated for completion by 2017, in time for another centennial anniversary: that of Cleveland Metroparks, the trail’s steward organization. The march toward the lakefront will include construction of a massive pedestrian bridge over multiple active railroad tracks. The bridge will feature a contemporary, eye-catching design and is expected to be a signature part of the trail. 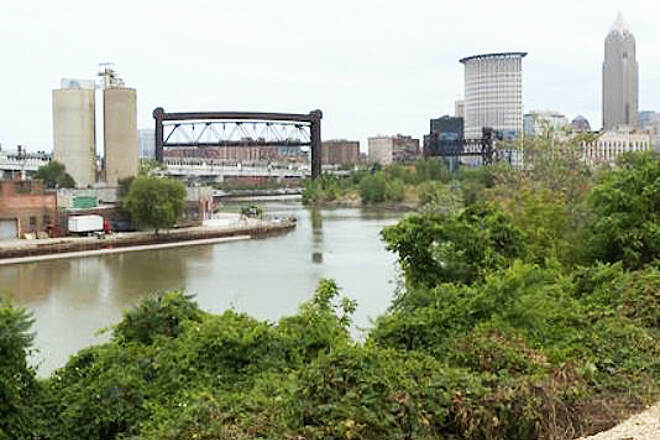 In addition to Lake Erie, the trail will provide access to another of the city’s famed waterways: the Cuyahoga River. Together, the lake and river positioned Cleveland historically as a shipping powerhouse. The trail itself is being built along the former Cleveland and Mahoning Railroad, which dates back to the 1850s. 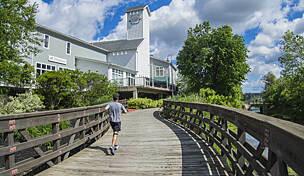 On its other (southern) end, the trail will also provide a much-desired connection to the popular Ohio and Erie Canalway Towpath Trail, which unfolds southward from Cleveland more than 80 miles through a scenic National Heritage Corridor. Parking is available at Merwin's Wharf (1785 Merwin Ave.) in Cleveland's Industrial Flats neighborhood. I rode this trail in July of 2017. 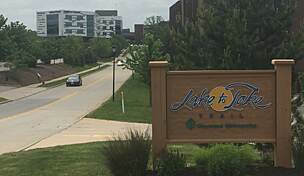 The description here at TrailLink needs to be updated to reflect the opening of the half mile section of this trail known as the Lake Link. I started with the northern section of this trail. I parked on Main Street on the West Bank of the Flats and road down Mulberry Street to River Road and then east to Elm Avenue. Where River and Elm meet the Willow Avenue Bridge crosses the Old Cuyahoga River Channel onto Whiskey Island. According to a June 7th Cleveland.com article, when this route is completed there will be an additional bicycle/pedestrian bridge built that will carry people over the very active Northfolk & Southern rail line and sidings into Wendy Park and the old Cleveland U.S. Coast Guard Station. Unfortunately, at this time this bridge does not exist. The current Lake Link portion of the Cleveland Foundation Centennial Trail ends on River Road and runs south in a trench that once was a rail spur that ran down the center of the blocks between Mulberry Avenue and Center Street. The this section ends in about a half a mile when it reaches Detroit Avenue. 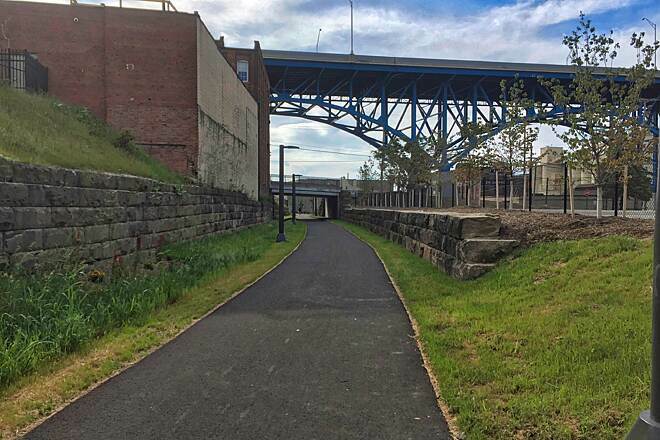 You can connect the Lake Link and the current southern section of the Cleveland Foundation Centennial Trail by riding on a closed section of roadway called Riverbed Street. It has a barrier near Columbus Road which prevents cars from using it. 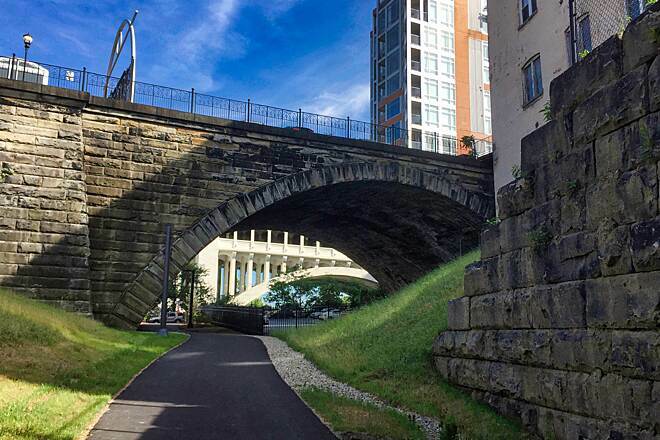 Riverbed Street follows a curve in the Cuyahoga River known as Irishtown Bend. This section was kind of creepy as it is overgrown with trees and shrubs and kudzu. What really makes it creepy is the sleeping bags you see just off the road that the homeless use to bed down. Since the road isn't used they probably don't get hassled too much in this area. When the groups developing the connecting of the towpath to the lake get to developing this missing section they will have to do some serious landscaping to open up the area to allow riders to see the river and to remove the ability for the homeless to hide. I did not encounter any homeless folks as I rode through but I came through in the middle of the afternoon on a weekday. At this point, I'd say consider how comfortable you are with this situation. 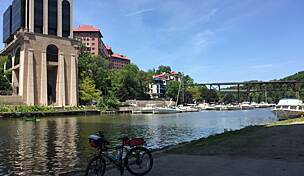 What I really enjoyed with this trail was the architecture of bridges, buildings, and the combinations of old with new, of commerce and industry, and of nature and human endeavor. 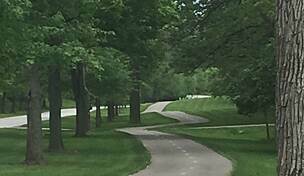 I can see riding this trail many different times as the the scenery will change drastically with changes in light and weather. 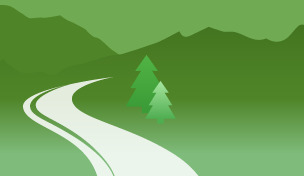 Please join us, in the celebration of Earth Day, to clean up the County Line Trail! 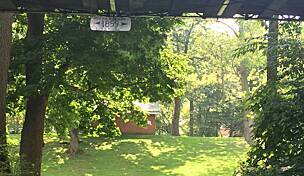 Please meet at the Trail Head located on Grant St. in Rittman.